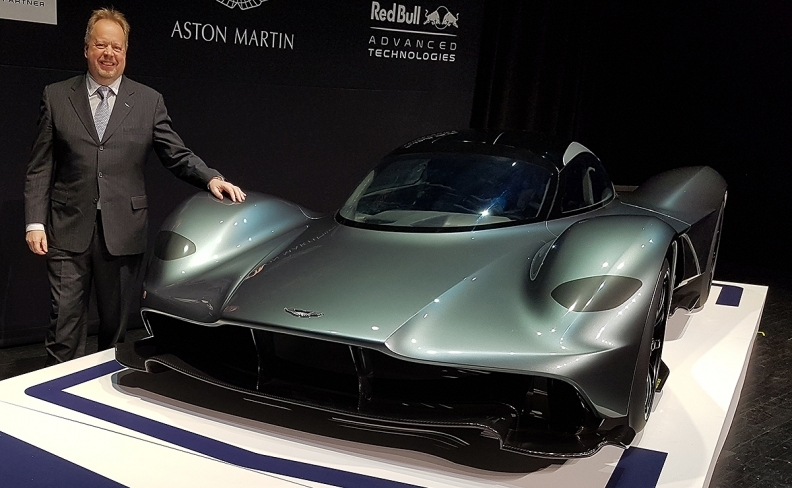 Aston Martin CEO Andy Palmer presented the AM-RB 001 concept at the Canadian International AutoShow in Toronto on Feb. 15. The upcoming Aston Martin AM-RB 001 hypercar has a Canadian connection in Multimatic, but Vice President of Engineering Larry Holt says his company’s role is more supplier than technical partner. The AM RB-001 made its world auto show debut in February at the Canadian International AutoShow in Toronto, where Aston Martin CEO Andy Palmer introduced Multimatic – a long-time collaborator with the luxury marque – as a technical partner on the car. The Ontario company is the manufacturer of the car’s intricate carbon-fibre chassis and body. “There are quite some gymnastics that Multimatic have to do to deliver that car,” Palmer told Automotive News Canada. Holt, however, downplayed both the term technical partner and the Canadian angle of the project, pointing out that the chassis will be built entirely at one of Multimatic’s facilities in the United Kingdom due to the benefit of proximity to Aston Martin’s global headquarters in Gaydon, northwest of London. 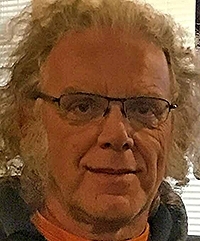 Larry Holt, vice president of engineering at Multimatic. “This is what we would call a build-to-print job where they give us the design and engineering drawings and say, ‘hey, can you make this for us and give us a good price,’” Holt said. Holt said that while Multimatic has had a deeper role in past projects, Aston Martin’s partnership with Red Bull Racing Formula One and its chief technical officer Adrian Newey made establishing such a relationship on the AM-RB 001 redundant. Multimatic’s performance-parts expertise goes well beyond carbon fibre, and both Palmer and Holt left open the possibility that Multimatic’s involvement in the project may become broader as it evolves. “They may well do other bits and pieces for us as well, but in the context of what we’ve announced so far, we’re doing the big chunks,” Palmer said. “The engine is with Cosworth, Ricardo are doing the gearbox, Wipac are doing the lights and Multimatic is doing the body. “We’ve historically been a long, long-time supplier of Red Bull Formula One on the damper side of the business,” Holt added. “Nothing has been carved in stone, but I can’t imagine that Red Bull won’t want to use us for that side of the car as well as supplying shock absorbers, dampers, suspension components to the job.